The application of non invasive glasses with flickering LED lights and recurrent sound frequencies with head phones to naturally synchronize brainwave frequencies to mimic electrical cycles of various desired brain states, thereby “training “ the brain to consciously alter states to greatly enhance your happiness, well-being, learning ability, deep sleep and relaxation. The non invasive application of the Brainwave Entrainment is a method to stimulate the brain into entering a specific state by using pulsing sound and light. The pulsed elicit the brain’s frequency following response, encouraging the brainwaves to align to the frequency of a given rhyme. The treatment effectively enhances focus, relaxation mediation or sleep induction. 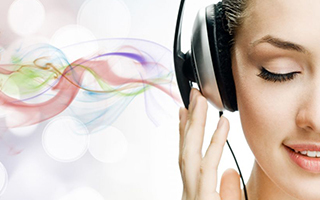 Brainwave entrainment works for almost everyone. It is a great way to guide your mind into states that you might usually have difficulty reaching, allowing you to ease into experiencing those states you desire. Recommendation: Combine with Brain Core Neurofeedback for best results.